Our Denver house cleaning service answers phones from 7AM to 10PM MT seven days a week. To schedule a free estimate for maid service or to schedule your house cleaning call, (303) 329-9670 or email us. We happily provide maid service in Denver and the surrounding areas, including Aurora, Boulder, Longmont, Highlands Ranch, Parker, Littleton, Castle Pines, Castle Rock, Golden, Lakewood, Broomfiels, Arvada, Westminster, Superior, Lousville, Lafayette, the DTC, Brighton, Frederick, Englewood and Thorton. Call us today at (303) 329-9670 and see why so many Colorado homeowners use our Denver house cleaners time and time again. Spruce up your holidays with a clean house. One Time, Weekly, Bi-Weekly, Monthly, Residential and Vacancies. We clean Airbnbs and other short term rentals. We'll send the same cleaner every time and they will provide their own supplies. Call (303) 329-9670. Phones answered from 7AM to 10PM MT seven days a week. We accept Visa, MasterCard, American Express and Discover as well as checks and cash. "I have used Miracle Maids for close to 3 years now. They do a thorough job and I am very pleased." - Danny C.
"I called Miracle Maids today. The folks were friendly, came on-time and cleaned up really well. 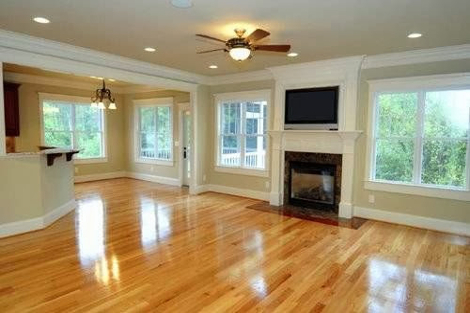 I'd recommend this to anyone who's looking for a good economical house cleaning service in Denver." - Yvette B. Phones answered from 7AM to 10PM MT seven days a week.